Startup success stories are inspiring. Take Sophia Amoruso of fashion retailer Nasty Gal. Amoruso was a community college dropout who started her business by buying clothing from vintage stores and reselling it on eBay for a profit. From those humble beginnings, the brand grew massively. It attracted funding from venture capitalists, led to stores in Los Angeles and Santa Monica, and landed Amoruso on Forbes’ 2016 list of America’s richest self-made women. In addition to the growth of her business, Amoruso also published a best-selling memoir about her journey, which was adapted by Netflix into a series. Nasty Gal’s rise is one of those business success stories that inspires startups and small business to grow, but it also serves as a warning: the once-thriving business is currently in the process of filing for bankruptcy. The primary reason cited for the company’s surprising demise? Its rapid growth. Growing your business is a logical step when your initial products, services, and initiatives lead to profits. But with business growth comes exponential complexity. Legal challenges, hiring the wrong team members, and failed pivots are among the leading reasons startups fail. Most of these issues are avoidable. However, they’re less avoidable when you’re scaling rapidly and making quick decisions based on day-to-day needs rather than long-term goals. Before attempting to expand your business, you need to take time to document your growth strategy. With a well-thought-out and documented strategy in place, you can ensure your business growth is led by informed decisions, and avoid surprise pitfalls that compromise profits. There are many excellent reasons to pursue business growth. With business expansion comes increased revenue, wider brand recognition and increased importance in the industry. Brands that are household names spend much less time and money on customer acquisition and retention. Rather than focusing their revenue and efforts on marketing, they can use those funds for product innovation and service expansion. Well-known brands also have an easier time attracting top talent, big-name clients and investors. These things are necessary for growth, but with every new employee, client and stakeholder, you assume risk. 42% of failed startups cited lack of market need as the primary reason for their failure. Business growth can lead to revenue loss if assumptions are made, competition is not thoroughly vetted, or pivots in products and services aren’t driven by a significant amount of market research. In fact, 42% of failed startup businesses cited lack of market need as the primary reason for their failure. By documenting your expansion strategy, you can minimize these risks. A business growth plan allows you to anticipate when you’ll need to add new team members and leaders and take your time finding the right people to bring on board. It also embeds time for market research into your growth plan, ensuring your decisions are based on data—not assumptions. With a documented business strategy, you’ll be in a better position to avoid the risks of business growth and, instead, amplify the rewards. In the simplest sense, a business strategy is a document that details your business goals and defines your strategies for meeting those goals. It’s a road map detailing the goals you’re striving to meet, how you’re planning to meet them, and when you’re planning to execute. Goals can—and should—be both short-term and long-term, looking as much as five years into the future. The most effective business development strategies are documented so they can be shared across the organization. Having a documented strategy creates cohesiveness, allowing decisions and initiatives across the company to be catered to established goals. While initial planning is crucial, iterative planning is important as well. By revisiting your business development strategy at regular intervals, you can make strategic shifts based on new information, market changes and historical data. For example, if an initiative fails during the testing phase, all goals and strategies for that initiative should be removed from or replaced in the strategy document. Need help with business strategy? Hire a strategy expert with no fees! There are a few business strategy examples you can learn from to document your business plan. You could document your business goals and strategy at a high level, for example, or in great detail. Or you could use an agile approach to business planning, with short-term goals considered in detail and future goals presented at a high level. None of these approaches are wrong. Even high-level business strategy documents create a framework for decision-making and reduce risk. However, taking an agile approach to documenting a business development strategy may be ideal. It significantly reduces the risk of near-term initiatives by presenting goals and strategies in detail, and it enables faster finalization of your business strategy by eliminating the need to provide minute details for future goals. First, decide on what approach you want to take. Then, follow the steps below to develop your business plan. A brainstorming session with all company leaders and/or stakeholders can be helpful in the goal-defining phase. At this stage, all goals should be considered and documented. In later stages, you’ll make decisions on which goals are worth pursuing. It helps to use a relative prioritization: if you have ten goals documented, each should receive a priority of 1–10. Prioritizing relatively doesn’t mean you can’t work toward multiple goals concurrently, but it does help with decision-making when you lack the resources or funds to execute on multiple goals. Now that you have prioritized goals, you need to investigate strategies for meeting those goals. To form strategies, you need to think through—in detail—the steps that will be required to meet those goals. The strategies may require operational shifts, marketing initiatives, and acquisitions, among others. Some examples of goals and strategies are listed below. As you work through this process, you may find that some goals are more complex than you originally anticipated and that they’re unachievable with existing resources. If so, deprioritize those goals or remove them altogether. Throughout the entire process, you’ll be working towards developing an achievable growth strategy. Doing so will require eliminating initiatives with a high risk of failure. How do they market their offerings? Where does their marketing fall short? By investigating the answers to these questions, you can determine the best ways to differentiate your offering from those of your competitors. If you can offer the same products and services at a lower price and remain profitable, that’s your selling point. If you discover that customers are generally dissatisfied with a competitor’s customer service, you can differentiate by offering exceptional service. Conversely, if you find that your competitors have lower prices than you can offer, have extremely loyal customers, or offer higher quality products, you may need to revise—or abandon—your original goal. In some cases, particularly if you’re offering an innovative product or service, you may not have competitors initially. In these instances, it’s crucial to investigate market demand. You can conduct market research yourself or hire a market researcher to do it for you. As you conduct competitor and market research, you should also revise and refine your business development strategy based on new information and remove any goals rendered risky after further investigation. Once you’ve defined your goals and strategies and have validated your assumptions through detailed research, you’re ready to set timelines for enacting your growth strategy. Timelines can be set by goal priority or in sequence. For example, your highest priority goal may be to open a second store. But meeting that goal requires that you first increase sales at your existing store by 15% to cover the operational, staffing, and inventory costs of your second store. Even if increasing sales at your existing store is a lower priority, it needs to be executed first in order to achieve your highest priority goal of opening a second store. For near-term goals, you may want to detail strategy timelines by month or quarter. For future goals, you might only specify the year you’ll begin executing on the goal. If your business strategy is only being used internally, the format isn’t important. However, if you intend to use your business strategy to secure backing or investments, you may need to formalize the plan using a standard strategic plan template. This will require additional information, such as an executive summary and elevator pitch. 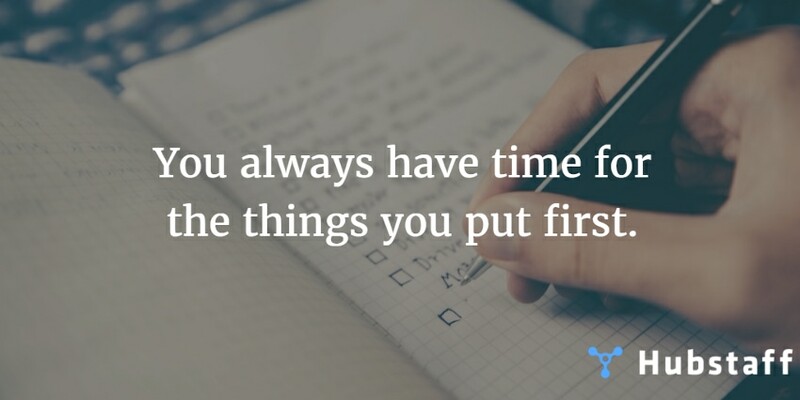 This is another important aspect of prioritizing goals. Prioritization based on what goals you want or can meet is not necessarily sufficient. You must also prioritize based on level of effort and risk. There are several strategies you can employ for growing your company, and some will represent more risk than others. For example, increasing the number of your customers in an existing market is likely less risky than moving into a new market. Both have risk, but market expansion is more likely to represent increased risk because of the element of the unknown. However, that’s not true 100% of the time — high-risk goals for one business may be low-risk for another. Risk is something each business must determine for itself. Increase sales or take on additional clients. 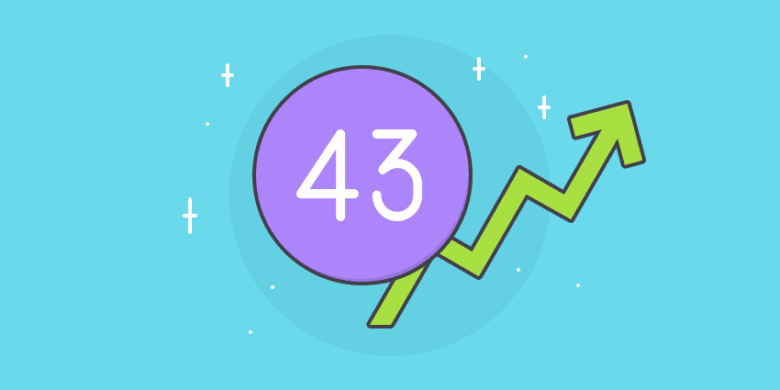 One common growth strategy is increasing sales by acquiring new customers, taking on new clients, or selling additional products and services to existing clients. In fact, there’s an entire marketing approach dedicated to increasing sales with existing clients/customers: account-based marketing. Develop creative marketing campaigns. Dollar Shave Club is an excellent example of growing a company using clever marketing and a unique value proposition. The company created cheeky marketing videos that told stories of how expensive razors are and how difficult it is to purchase them. The videos went viral, and the company went from a small operation in the founder’s apartment to a rival for big brands like Gillette and Schick. Expand into additional markets. Market growth could take many forms: you could open a store in a new location, expand your digital marketing efforts to new channels, or start selling products from your brick-and mortar store online. Selling through your own website or ta third-party site like Amazon or eBay can effectively grow your market reach to national and international customers. 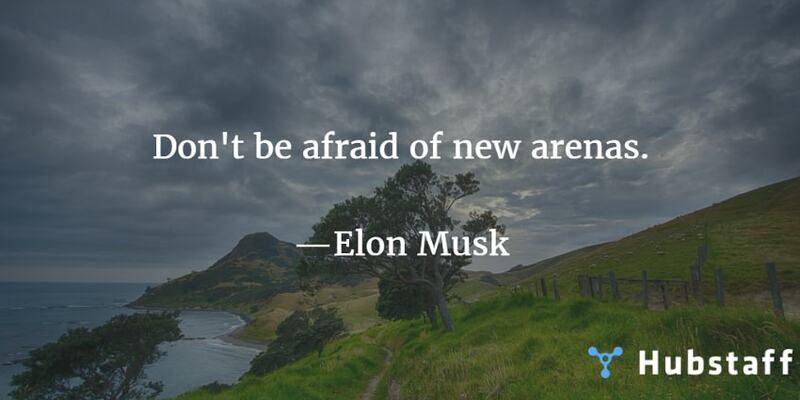 Develop new products. If you run a successful business selling women’s clothing, you may want to expand your product offerings to include jewelry or shoes. You may also want to expand your customer base by selling men’s clothing or children’s clothing. Expand your services. If you specialize in search engine optimization (SEO), consider offering related services to attract new clients or upsell existing ones. It’s not a huge leap to offer content marketing, search engine marketing, or social media marketing services alongside SEO. You may also use your knowledge of SEO to develop tools or software you can sell that enable companies to optimize their own sites for search. Expand through acquisitions. When major banks or health insurance providers want to expand into additional markets, they often do so by acquiring strong businesses that are already operating in target markets. The downside of acquisitions is steep upfront costs, but the advantage is that the company will have existing employees, customers, and workflows and may be profitable from day one. Eliminate the middleman. If you sell a product, one effective way to increase revenue is to manufacture products yourself. This can be achieved by setting up your own manufacturing facility, or by purchasing the manufacturing facility you’re already utilizing. Manufacturing your own products can increase revenue by lowering your cost-per-unit, leading to higher profit margins or allowing for retail price reductions that boost sales. 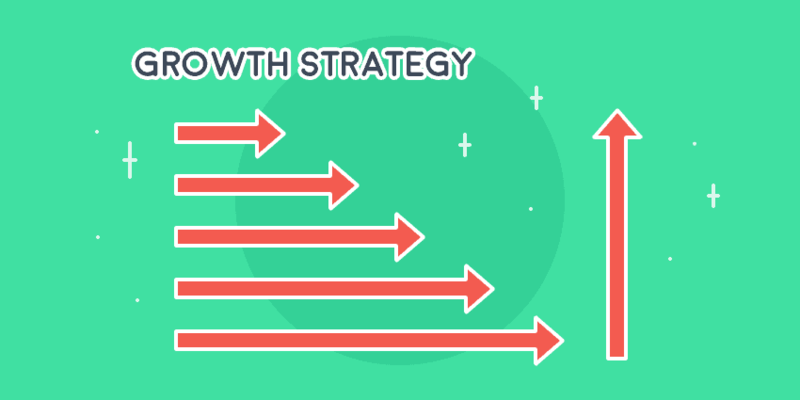 Each growth strategy—and its related risk and effort—should be carefully considered as part of your overall business strategy before implementation. There are startups like Dollar Shave Club who successfully grow enough to take on big brands, and there are those like Nasty Gal that grow so rapidly that they fail. The harsh reality of business is that nine out of ten startups fail, and only 0.1% of companies ever reach 250 million in annual revenue. Starting and growing a business requires a significant amount of time, effort and planning. Quick decisions and big investments may be appealing, but unless they translate into functional and sustainable business models, the temporary excitement can lead to very public disappointment. Before you take steps to grow your business, you need to document your growth strategy. The research and documentation will take time, but the upfront investment will pay off in the end. What strategies have you used to grow your business? Were they successful? I’d love to hear your story in the comments below!